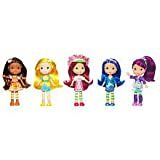 4 fabulous princess dress-up activities with Strawberry Shortcake, Lemon Meringue, Orange Blossom, and Plum Pudding! 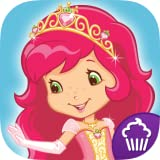 Read the story and tap-to-play scenes to make Berry Bitty City come to life! 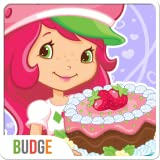 Practice your reading skills with Strawberry Shortcake in a fruitastic game! Set the table for the party, choose delicious treats and beverages, then play along and pretend! Choose your favorite princess to paint in adorable coloring pages filled with plenty of popular features: paint buckets, brushes, stickers and more! Set includes 5 scented dolls, 5 pairs of shoes, 5 dresses, 5 pairs of leggings and 1 hat. Change outfits with super-cute dresses, shirts, skirts, and shoes. Unlock fruitilicious hairstyles, frames, and backgrounds. Animated stickers with all your favorite friends from Bitty Berry City. Add text bubbles and write your own sweet messages. 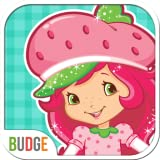 Take or choose a photo to decorate with berry cool stickers and frames. Send your creations to friends and family. Easy to use for kids of all ages. Get additional packs to unlock more Strawberry Shortcake characters, fashion accessories, and other items!